CHQ Chairman Richard A. Viguerie made the point in his book TAKEOVER that the greatest impediment to governing America according to conservative principles is not the Democrats – it is the progressive establishment of the Republican Party. And there is no better proof of this theorem than the role Kentucky Republican Representative Hal Rogers, Chairman of the House Appropriations Committee, is playing in the current battle over President Obama’s plan to grant an unconstitutional amnesty to millions of illegal aliens. Before the final tallies of the votes in the 2014 midterm wave were even official Rogers announced that he was preparing an omnibus spending bill and that he had the agreement of Republican leaders to pass the bill by the end of the year. According to an interview with CQ-Roll Call, the Kentucky Republican said House leaders will make the case to skeptical conservatives at a caucus meeting on Thursday (today) that it’s better to clear the decks on fiscal 2015 now, during the lame duck session, than to wait until Republicans take Senate control next year. Waiting would require passing another short-term continuing resolution once the current one expires Dec. 11. Setting aside the fact that such a move gives the recently defeated Democrats unprecedented power over next year’s spending, it amounts to unilateral disarmament in the face of Obama’s announced plan to grant an unconstitutional amnesty to millions of illegal aliens. According to CQ-Roll Call, Republican Rep. Matt Salmon of Arizona has already convinced more than 50 of his Republican colleagues to sign a letter asking appropriators to include language blocking Obama’s planned amnesty in any omnibus brought to the floor of the House. “This is an opportunity for everybody to come together and speak clearly and forcefully that doing this unconstitutional act would be a mistake, and if you do it, there won’t be funding for it,” Salmon told the paper’s Shawn Zeller. First, Rogers says, that an omnibus would allow Congress to deal with the threat posed by the Islamic State militia to U.S. interests in Iraq and Syria, as well as the Ebola outbreak in Africa. Obama has asked Congress for $6.2 billion for Ebola, $5.6 billion to fight the Islamic State and $3.7 billion to handle a surge in child migrants at the southern border. Rogers says he’s going over the requests and wants to help. Second, Rogers said he met Wednesday afternoon with House Majority Leader Kevin McCarthy and secured his commitment to lobby reluctant conservatives to support the omnibus. “He’s making a very strong pitch, as is all of leadership, to pass an omnibus rather than a CR,” Rogers claimed to Zeller. What a conservative Member of Congress should do about Obama’s request to put more money into the ill-advised deployment of American military personnel to “fight” Ebola in Africa, Obama’s ill-conceived air campaign against the Islamic State and Obama’s giveaways to illegal aliens is by no means universally agreed upon, which is why such matters should be handled in regular order, not in a rush during a lame duck session of Congress that gives the overwhelmingly defeated Democrats unprecedented power and influence in the decisions. What’s more the push for an omnibus is a gross display of hypocrisy by Appropriations Chairman Rogers who has spent most of his chairmanship calling for appropriations to be handled in “regular order,” rather than as big last minute omnibus packages as was the practice when Democrat Nancy Pelosi was Speaker. But the worst damage that Rogers’ push for an omnibus spending bill does is to unilaterally disarm Republicans in the face of Obama’s plan to grant amnesty to millions of illegal aliens. Rogers’ statement that such language would make it impossible to pass an omnibus shows that he is more interested in “getting things done” than in “getting things done right,” or worse yet, that he is so out of touch that he completely missed the major motivator in the recent wave – opposition to amnesty for illegal aliens. As we pointed out yesterday, the Obama -- Reid plan for the lame duck is to get Republicans to pass an omnibus early, and then ram through the confirmation of dozens of liberal judges and administration appointees and implement Obama's planned amnesty for illegal aliens after Republicans have unilaterally disarmed. Rogers insistence on an omnibus spending bill, rather than a short term Continuing Resolution (CR) that funds the government until Republicans have control of the Senate, plays right into that trap. 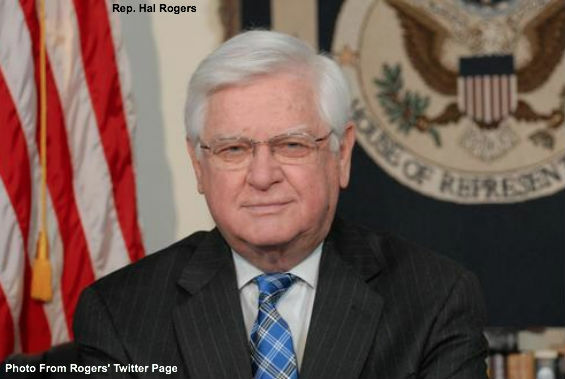 We already know Hal Rogers is no conservative, but by opposing including language in the omnibus to prohibit Obama’s planned amnesty for illegal aliens and a CR that retains the Republicans' power to defund the implementation of Obama's amnesty, Rogers is proving he does not have a clue about what motivated grassroots conservatives to turn out and vote Republican less than two weeks ago. There’s an old bit of Washington wisdom that says there are three political parties on Capitol Hill: Democrats, Republicans and Appropriators. Even such establishment figures as Karl Rove and RNC Chairman Reince Priebus say Obama’s planned amnesty is “illegal” and “wrong,” and that Republicans ought to stop it “at all costs.” Given how far out of sync Hal Rogers is with Republicans, that leaves only two choices as to where Rogers’ loyalties really lie; Appropriator or Obama Democrat. Call or write your legislator today (the Capitol switchboard is 1-866-220-0044) tell Capitol Hill Republicans not to fall for the trap; it is time to stand tall and fight the Obama – Reid plan straight through to the beginning of the new Congress. Submitted by 7kTMnJPw2k on Tue, 11/18/2014 - 08:16. You are limiting freedom of speech by checking on the comments that people submit, WHY? Submitted by george.rasley on Tue, 11/18/2014 - 10:48. Submitted by 7kTMnJPw2k on Tue, 11/18/2014 - 08:13. NO MONEY! NO COMPROMISE! NO more thought or time spent on this subject! You are NOT THE BOSSES of the American People.......we are your bosses! IF you can not represent "WE THE PEOPLE" than resign! Rid the American soil of EACH and EVERY illegal that walks upon it, N O W !!!!! Submitted by CYsy6XApoa on Thu, 12/04/2014 - 23:53. No Amnesty, no illegals or their illegal children. Close the border to all immigration. Americans need jobs, not foreigners! Submitted by TPatriot on Thu, 11/13/2014 - 14:06. This clown needs to get his head straight. The new Congress should have the responsibility for getting a BUDGET put together that reduces Government spending. These fools will never learn.